241 years ago today, July 4th, just after the Declaration of Independence had been adopted by the Congress earlier that day, a committee took the manuscript document, possibly Thomas Jefferson’s “fair copy” of his rough draft, to printer John Dunlap. 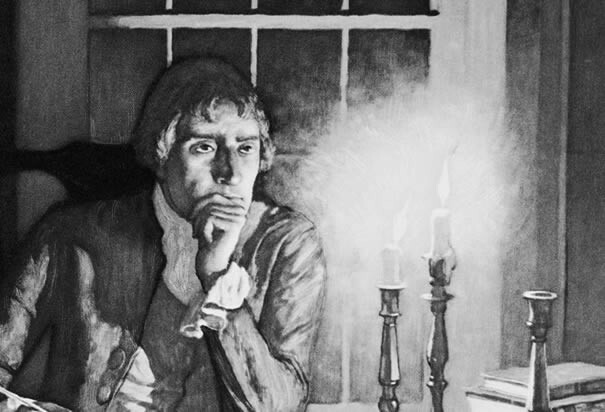 Could it have been Thomas Jefferson himself who took his handwritten copy to Dunlap’s print shop? I like to think that it may have been. Printer John Dunlap’s shop was located a few blocks from the State House (now Independence Hall). It is surmised he worked through the night printing a number of copies (possibly 200). 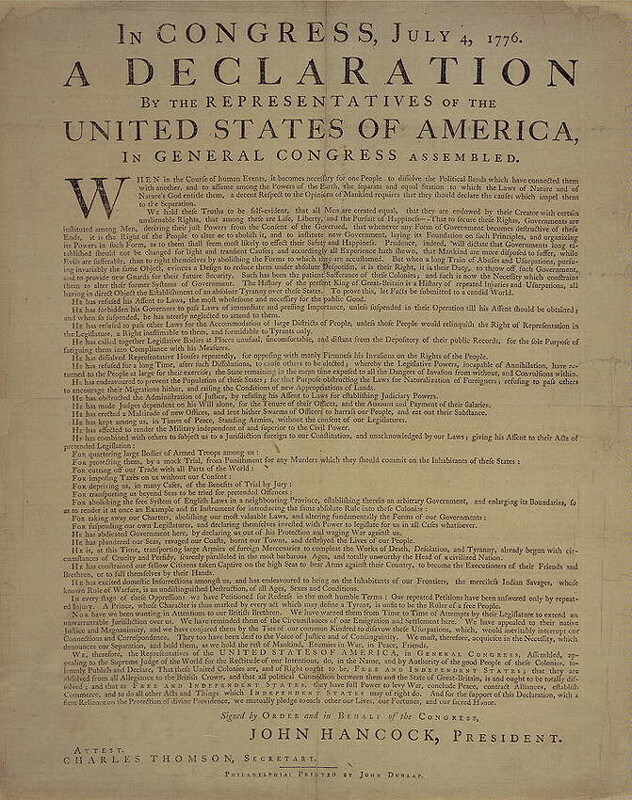 These copies, known as the “Dunlap Broadsides” is the version that spread the Declaration of Independence to the rest of the world. Just picture in your mind Thomas Jefferson walking down the streets of Philadelphia in the twilight hours of July 4th with his ‘fair copy’ version of the document in hand. He then walks through the door of Dunlap’s shop, most likely a bell on the door rings to announce his presence. Jefferson hands the document to John Dunlap. The printer works through the night by lamplight…typeset, print. The rest as they say is history. Our history. These copies set into motion the start of our nation, our independence. It wasn’t until August that the signing of the famous engrossed parchment copy that we all can picture (with the iconic large John Hancock signature) took place. 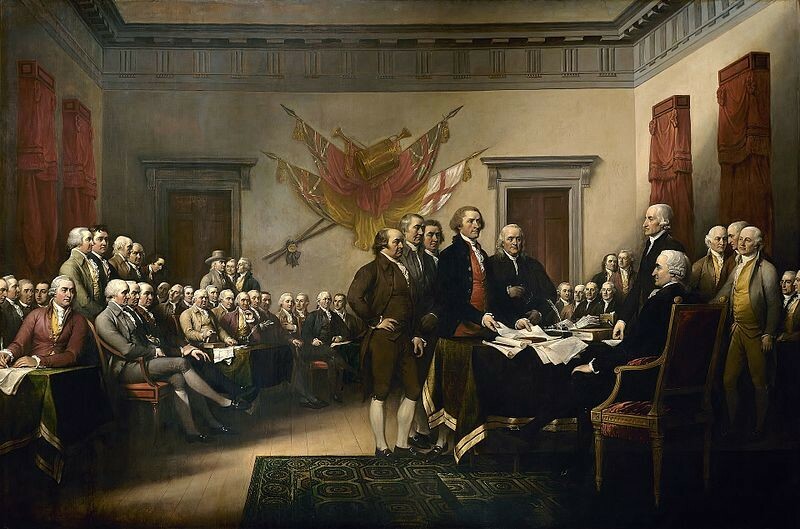 The famous painting by Trumbull depicts the Committee of Five, John Adams, Benjamin Franklin, Robert Livingston, Roger Sherman and Thomas Jefferson. Those five took on the task of composing the document. Jefferson alone took on the task of writing it. In many of my blogs I link to articles and blogs that I believe are worth a read. Here is a link to the Declaration of Independence. Definitely worth a read. I think you will hear the power of persuasion in Jefferson’s words. I think you will hear the clear intelligent use of language from our five forefathers who drafted the declaration. I think you will hear words that well-define the resolve for separation. “We hold these truths to be self-evident, that all men are created equal, that they are endowed by their Creator with certain unalienable Rights, that among these are Life, Liberty and the pursuit of Happiness.” Powerful words to live by. Take a second to print a copy. 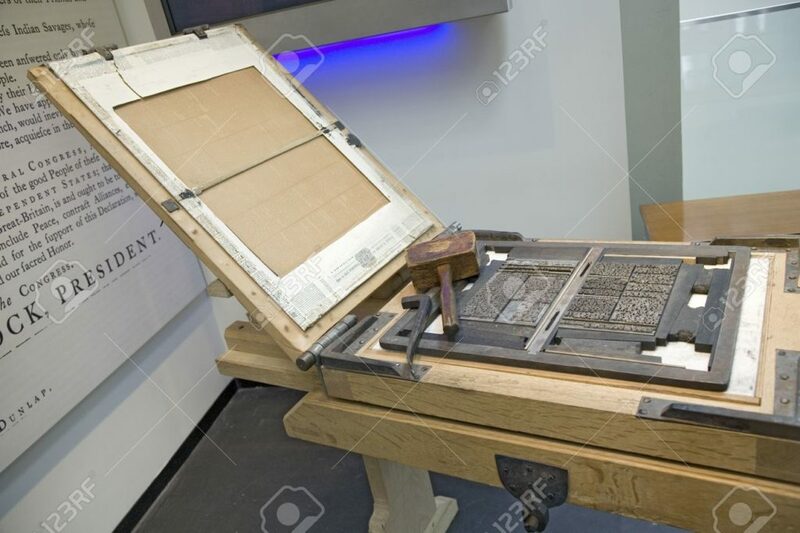 241 years later all we need to do is move an arrow and click print. Ol’ John Dunlap would be so impressed. This entry was posted on Tuesday, July 4th, 2017 at 7:00 am	and is filed under Innkeeping Business. You can follow any responses to this entry through the RSS 2.0 feed. Both comments and pings are currently closed. Thank you Ed. Appreciate this.